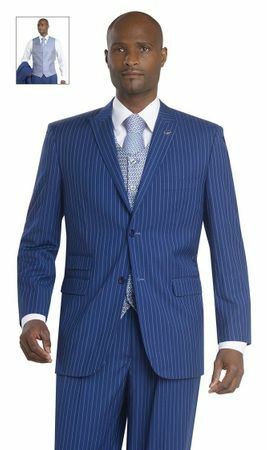 Get your entertainment situation in check in one of these high fashion suits from EJ Samuel. this 3 piece blue suit features a jacket with side vents and paisley vest with lapels and single pleated pants. The fabric is made of super 150s poly/rayon fine fabric. Final Sale item.